I’m really excited about the gift I recently received. It’s a stand to hold my phone above my work area so I can make a video of my painting process. The stand is called an Akron Kitchen Desk Table Stand. Previously I would try to hold my phone or iPad in front of me so I could record a short snippet of my process. People seemed to like these videos and also like the posts where I showed the stages of a painting. Recording an entire painting from start to finish seemed like it would be interesting and helpful to share. And in timelapse you could see the entire process of a painting in a few minutes! Click here to see one of my first videos with the new stand on Instagram. It’s where I add the foam of the ocean. What a difference from the starting point to the end! 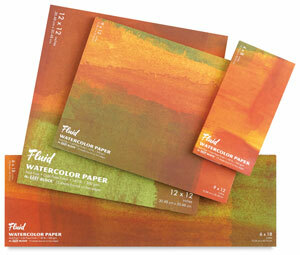 Categories: Gouache, video, Watercolor | Tags: Art, Film, painting, Phone, Stand, video | Permalink. 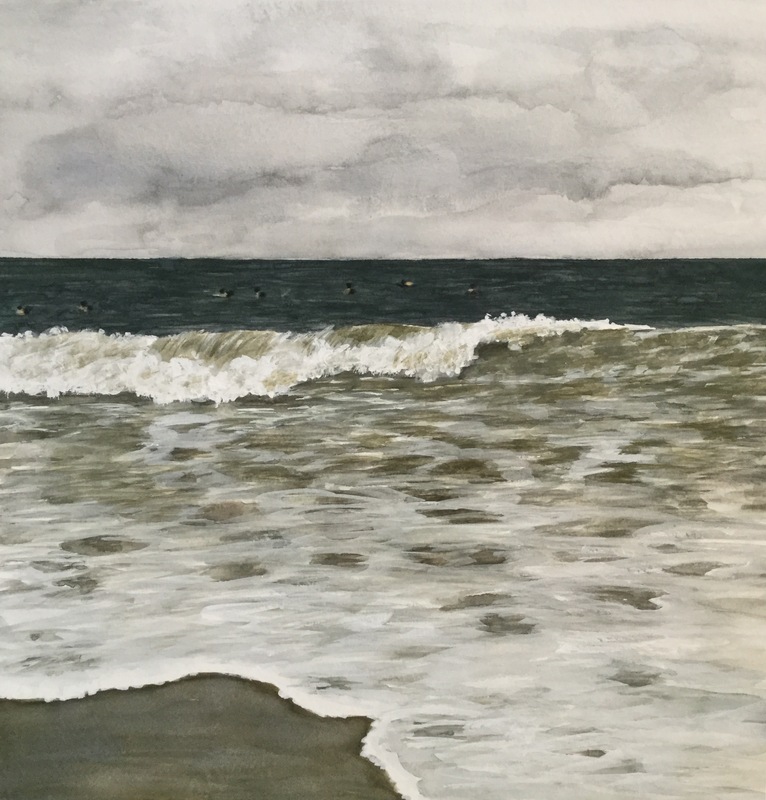 Categories: Gouache, painting the beach, Watercolor | Tags: painting the ocean, Painting water, Stages of a watercolor painting, When a painting is done | Permalink. 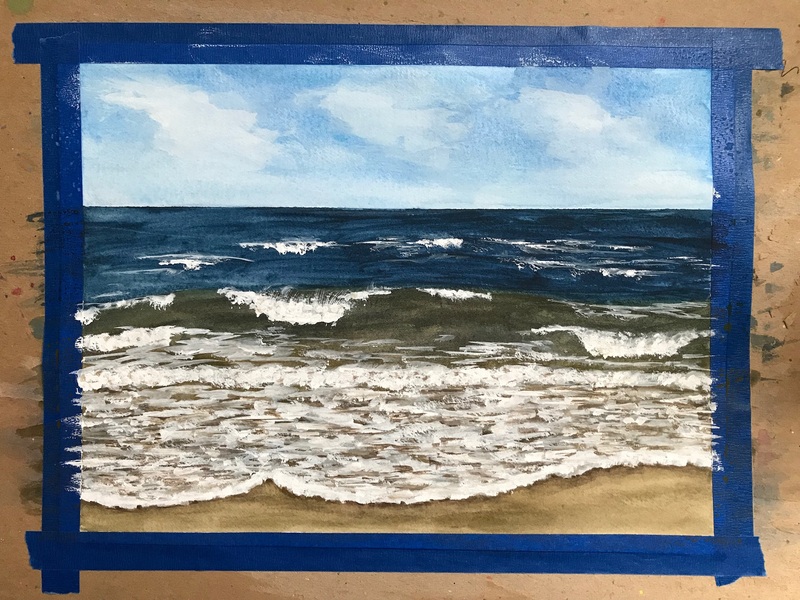 As I wrote about in my last post, I began painting the ocean in January. 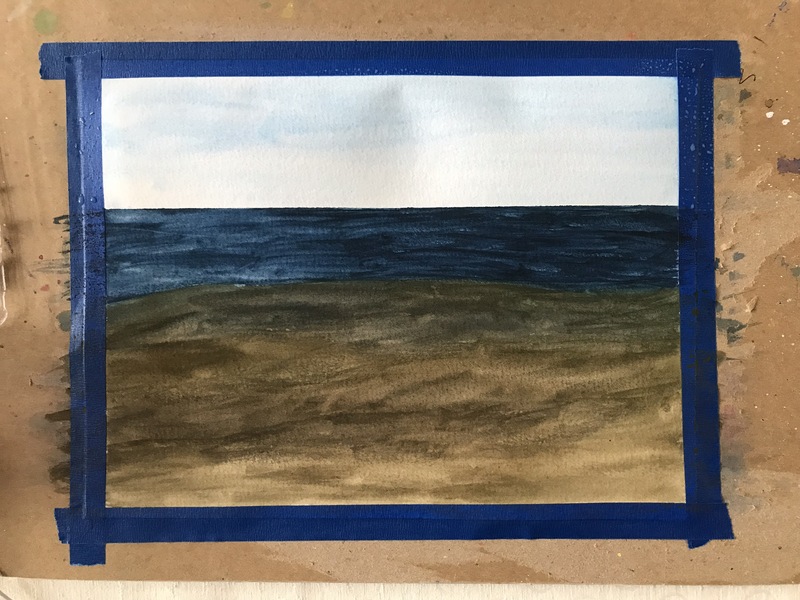 As is customary with watercolor, I was leaving the white of the paper bare for the white areas of my painting or I would remove paint with a damp brush or blot with a towel. This preplanning of what areas should be white at the start of the painting was proving difficult for me. And the white paper seemed too flat for the foam areas of the ocean. 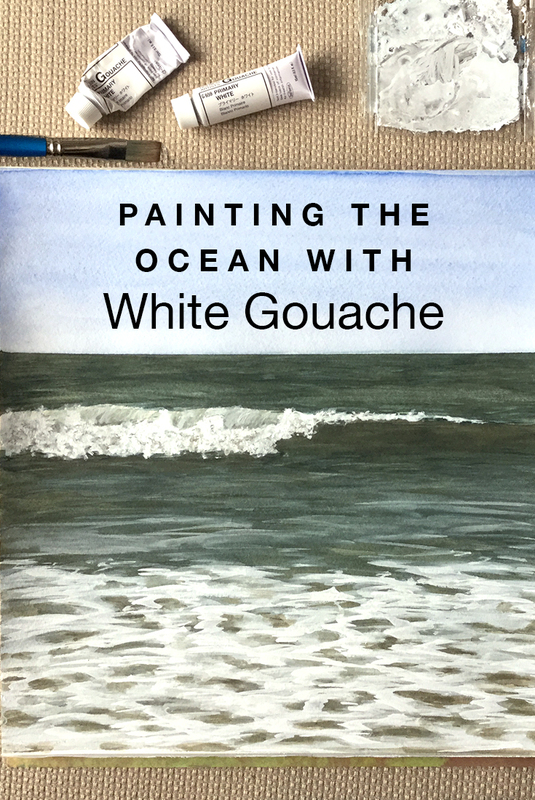 So one day I opened up the white gouache…and everything changed for me. Gouache is more opaque than watercolor. You can paint over other colors even with white. Eureka! I can add an underlying area of dark water, then add the white gouache on top. 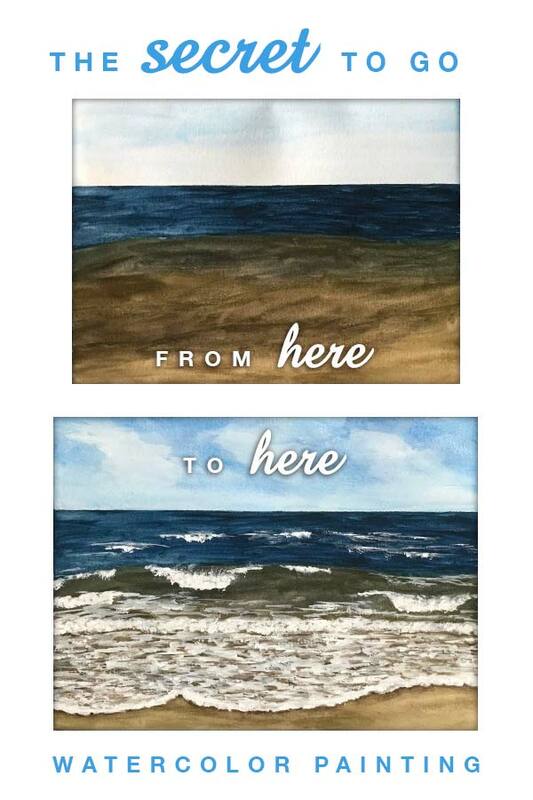 I can use a wet brush and blend the white with darker areas to soften it. I can add shadows on top of the white gouache and then add more gouache on that. 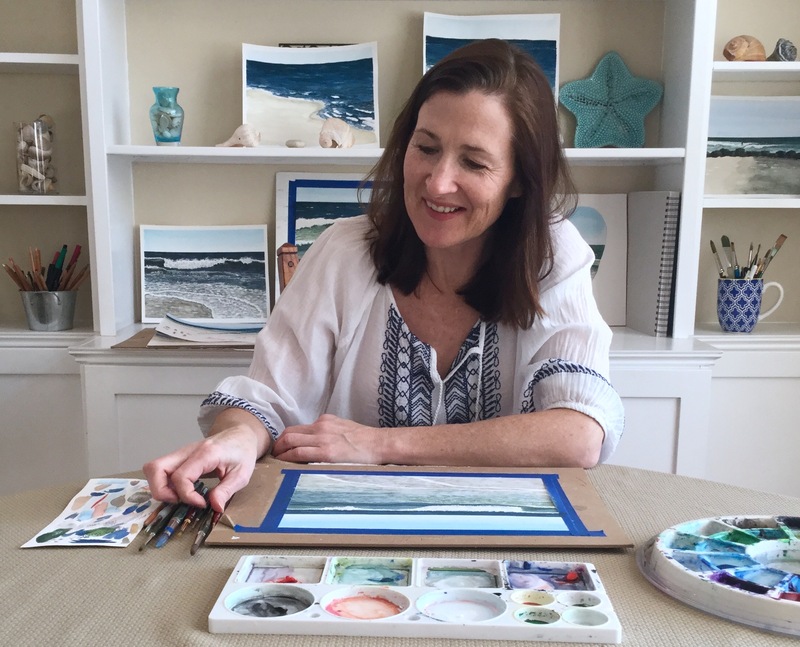 I can “build up the layers” – which is the description of watercolor painting that always runs through my head while I work. It’s probably something my watercolor teacher once said. The small box of gouache paints I have contains cyan, magenta, yellow, white, and black. It is considered a “mixing box” – from it you can mix any colors. I think I bought it because I heard about gouache and wanted to try it. But it remained mostly unused until this year. The white is called Primary White. Since I’ve been using the white quite often it is running out. When I went to order a new tube of white – several different whites gouaches came up online – Zinc, Permanent, etc. I wondered, “What was the difference?” The comments on this online page shed a little bit of light, but mostly made me think – stick with what works. 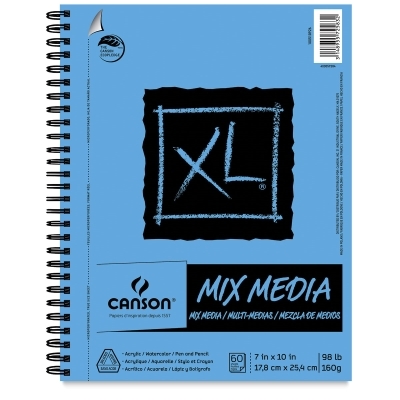 Primary white is considered good for mixing, which considering the box it came in makes sense. I don’t mix it much before using it, but I do blend it with other colors on the page as I paint. 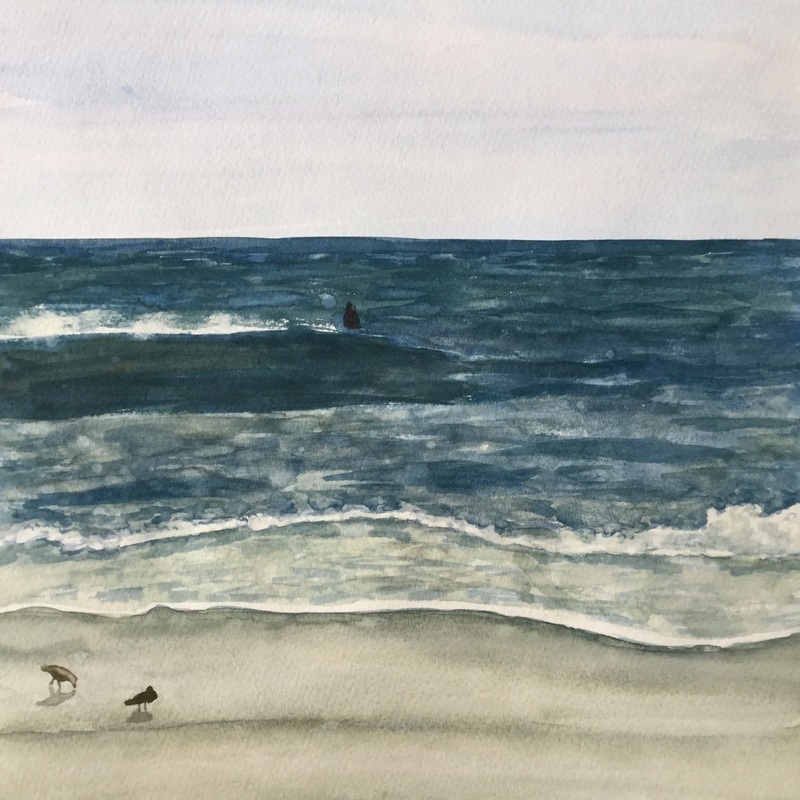 Let me know if you try painting the ocean with white gouache. 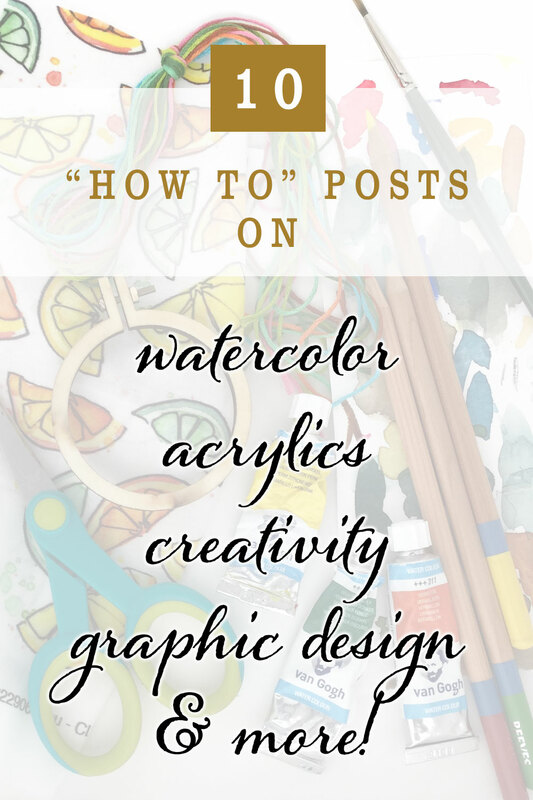 Categories: Gouache, painting the beach | Tags: gouache, gouache painting, painting the ocean, watercolor and gouache, what is gouache, which white gouache, white gouache | Permalink. Second, one of the artists was using a flat brush so I bought a couple to try. The smaller flat brush has become invaluable to me. 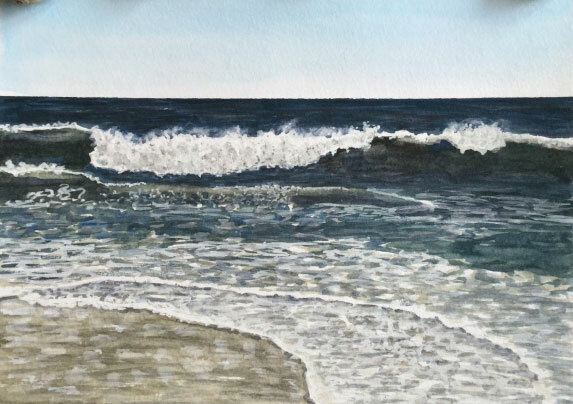 Lastly, when I started using white gouache for the foam of the waves it was a turning point. 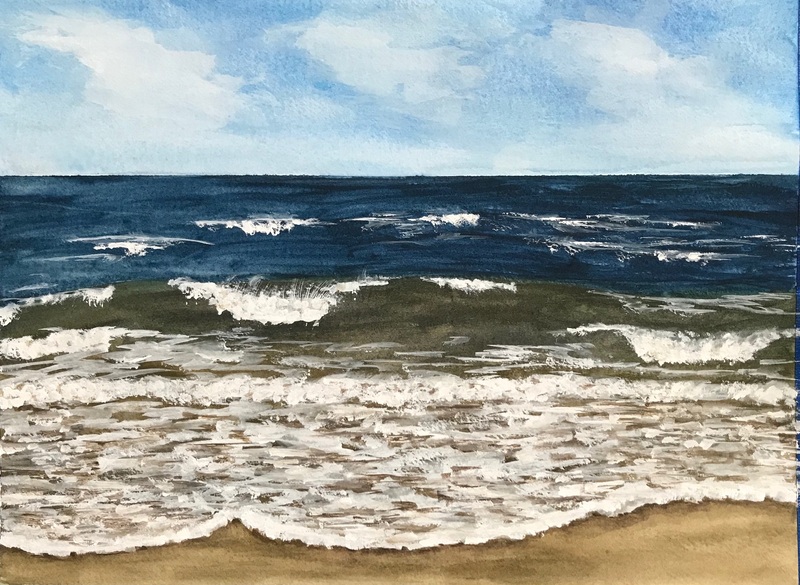 Categories: Gouache, painting the beach, Watercolor | Tags: 100 day project, 100dayproject, beach, beach painting, painting the beach, Painting waves, Painting waves in watercolor, watercolor | Permalink. I’m still amazed that painting every day is such a learning process. Some days of course aren’t great and/or they don’t yield great results, but other days I try things and learn so much, make so much progress – regardless of what the final result is. I guess when you create every day, you’re picking up where you left off, it’s a continuous thing. If I have a thought to try a different color for the skin or leave more white paper or whatever, I remember it the next day. When you paint only here and there – you’re practically starting over every time, instead of building on the previous day. 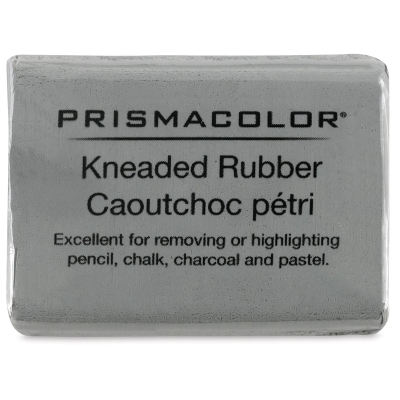 Categories: Gouache, Watercolor | Tags: Daily habits, gouache, Painting every day, painting skin, Painting skin tones, Skin tones, watercolor | Permalink. Day 14 of the Christmas countdown. Here in NY the forecast is for a couple of bitter cold days. I would much prefer some snow! I’ve been using my gouache paints to create the night sky and the snow. It’s thicker than watercolor. See yesterday’s sky here. Marion painted an adorable snow scene here. Check out Teri’s snowy scene on Instagram. Draw/paint along with us. Tag adventmcr when posting. Categories: Gouache, Inspiration | Tags: Adventmcr, gouache, painting snow, snow, snowman | Permalink. Day 13 of the Christmas Countdown. Santa’s helpers are packing the sleigh. 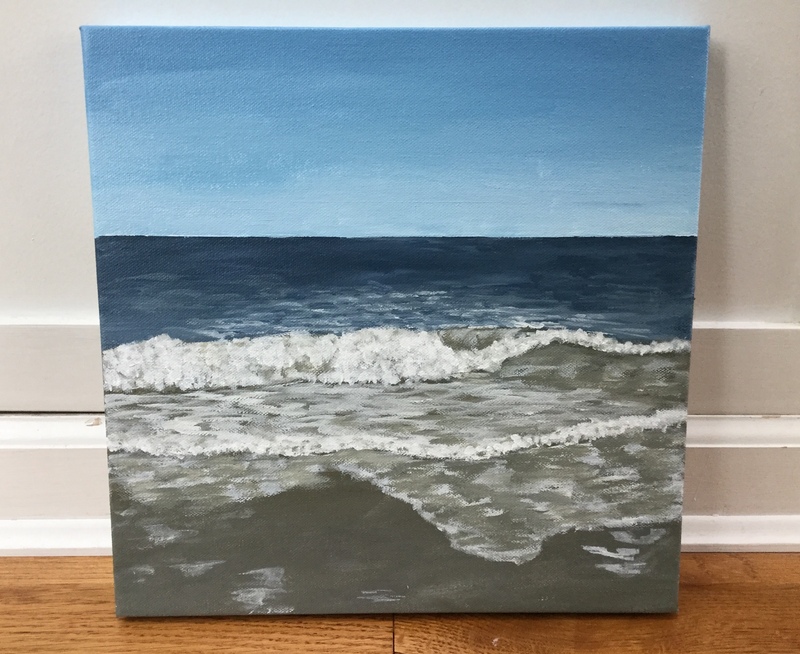 Paint/draw along with me! Use the tag adventmcr when posting. Marion is back with a sleigh in action! See it here. 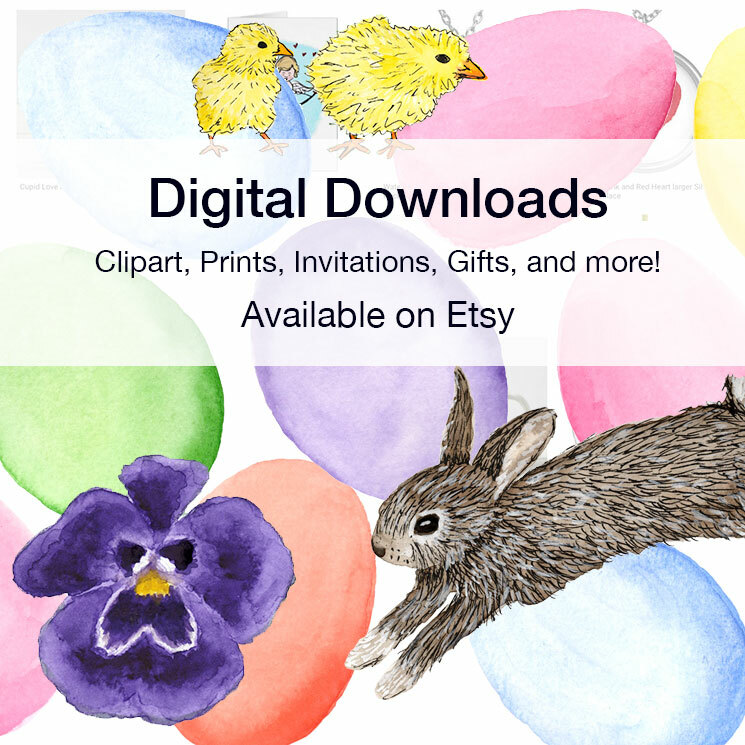 Categories: Gouache, Illustration, Inspiration, Watercolor | Tags: Adventmcr, elf, elves, north pole, Santa, santa's sleigh, sleigh, watercolor | Permalink.